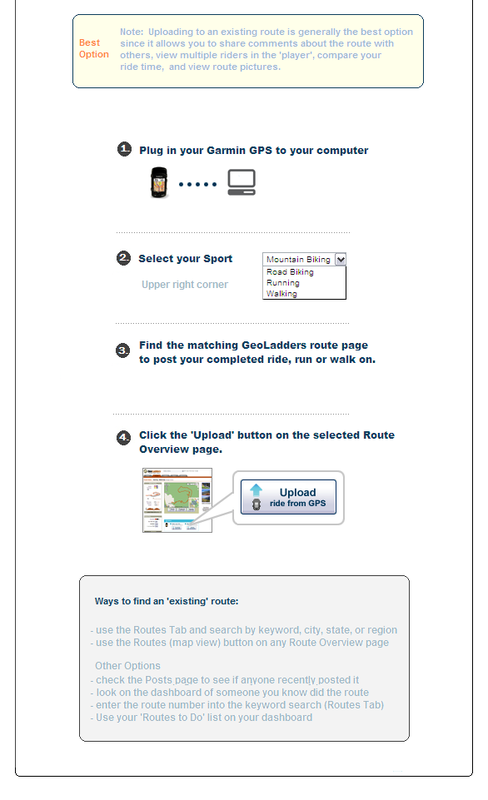 Upload GPX as New Route. Yesterdays ride. Did the route in reverse. absolutely perfect out today. No wind, not even at the towers. Still a large patch of snow about 1/2 mile below the summit. I had to hike through it. Did not see another person out today, which is unusual. did this in reverse. Middle chain ring the whole way up Mathis. First time. Added a climb up Cholla at the end. perfect day for a ride. gave away one of my tubes to a rider with a flat just below Beek's Place. Windy on the ridge and chilly on the way down. rolling at 8:30 this morning. t-shirt weather. still small patches of snow left from last weekend. only had to work half day so hit this on the way home. excellent conditions today. a lot of riders today. saw a large group of about 20 coming in as I was finishing. felt good today. the warmer weather makes a difference. used granny ring going us mathis today. concentrated on spinning as fast as i could. what a difference in temperature from yesterday. at the start of the ride, not into due to the cold. felt better after climbing cholla and finished strong. Perfect day to ride. saw 3 other riders out today. seems like the climb up to the peak is not as rocky as the last time I rode this. Did this route in reverse. Felt great climbing Mathis today. Middle ring the whole way except for the intial 400 yards. First time doing this route. The climb was a lot easier than I expected. Windy at the top, but nice in the canyon. This was yesterday's ride. Started at 11:00 and the temp was good. A little cool coming down. You could see forever from the main divide. got off work late. had just enough daylight to ride this. reverse. possibly the slowest I have ever climbed Mathis. early afternoon ride. park was pretty empty. I can really feel the lack of riding lately. a lot of people out enjoying the weather. early afternoon ride. perfect weather today. spectacular day in the Santa Ana's. Spotted a roadrunner, 2 quail, and 2 blue jays. big difference in temperature from yesterday. saw a roadrunner today. nice to get out and ride in warm temps. windy on the way up- a lot of it headwind. saw a couple of small snakes. I do not know what kind they were. nice and warm today. hope it continues. tried to find a place that was dry. saw 5 groups of people fishing the creek. reverse. busy going up mathis today. first dirt ride in a month. felt good to be off the road. felt good today. 43:45 to TOW without going all out. the warm temps are awesome. ride 2. really slow on this climb. was a struggle to make it to the top. ride 1. lots of people using el cariso today. quick ride before dark. mathis always gets the heart going. met enriquez at the end of the ride. perfect afternoon for a ride. slow and steady today. spectacular sunset over catalina tonite. lots of ultra-runners today. 1:11:23 to the main divide. legs feel like they are starting to come around. just enough daylight to squeak this in. windy in spots on the climb up. seemed like an equal amount of head and tail wind. Gusty on the main divide. mid morning ride. always empty on el cariso. beautiful sunset looking from westridge. the ocean looked like a sheet of glass. second day in a row on ITT. forced myself to be faster today. It worked, 4 minutes faster than yesterday. saw three other riders. warm climbing itt today. was grateful for the shade. saw 4 other riders today. busy on el cariso today. 3 motorcylcles, 2 mountain bikes, one car, one hiker, one dog and a partridge in a pear tree. started out sunny, but quickly turned cloudy and cold. had san juan to myself today. the wind has created several really smooth sections and several sandy sections. beautiful morning for a ride. 40 degrees at start. lots of pine needles from the winds, but no trees down. just a little breeze today. no wildlife sightings today. only saw 1 other rider. nice day for a ride to old camp. did not see another person out today. Much better conditions this year than last. everybody seemed to be having a good time today. perfect day for riding. only saw 1 other person the whole time. unusual for the plateau to be so empty. did this in reverse. the sky was all pinked up tonite. Mid day ride. Did not see anyone. Followed a bobcat for about 100 yds coming down from old camp. ITT is always good after a rain. Saw some runners doing the Saddleback Marathon while on the main divide. perfect day. great view of the sun going down behind Catalina. An owl flew over me about a mile from the end. awesome to see. great ride today. saw 2 others out on the trail. a little breeze kept it nice at the top. first of back to back rides. saw a small bobcat on the way up. 2nd ride. a minute faster this time. lots of cars today, but saw only a few people. feels great to ride in the cool weather. did this in reverse. added coyote run on the way out. big difference in temperature between the bottom and the main divide. Very comfortable on the main divide and could see the marine layer on the oc side. finally a day off with perfect temps for riding. slow grind up the ITT today, as I have not been riding much lately. the flies attacked about the last mile. First ride in a couple of weeks. Felt surprisingly good. Saw a large group heading up Mathis right at dark. first time up cholla in the middle ring. should have tried it sooner. Mathis was like rush hour today. trying to get the legs and lungs back into shape. did not see another rider today. only saw the aliso niguel cross country team. I was in Mammoth Fri, Sat, Sun. Camped at Twin Lakes. The actual route was Lakes Trail, Up Juniper, Up Lower Skid Marks, Lincoln Express, Break through, uptown, beach cruiser, downtown, paper route, back to twin lakes. Don't know the exact distance as my front tire washed out in a sand pit. bike went over, bent the rear brake lever and took out my cyclo-computer. cool in the canyon tonite. the dust on the new connector to mathis is like powder. everytime I ride through there I have a nice layer covering me and the bike. morning ride. Bombarded by the gnats lower on the climb than usual. Put on the bandana and tried to fend them off. Felt good to get a decent climb in. The bulldozer did a job on Mathis. Lots of soft dirt make a tough climb even tougher. did this in reverse. Mathis was very busy today, as was the entire park. did this in reverse. nice to have Mathis open again. very few riders out. legs were not feeling it today. grinded this one out. lots of riders taking advantage of the reasonable temps in the canyon. chased a roadrunner for a while up cholla. started a 4:30pm. the heat was there but was very comfortable under the trees. a family was swimming in the creek. wanted to join them. sunday morning ride to beat the heat. nice temps in aliso today. not many people in the park. great day of riding. saw a large snake with it's head down in a gopher hole. First time doing the Aliso tour. Made it up Meadows for the first time without dabbing. Great breeze the whole way. close to this route, but in reverse. West ridge has been graded from top of the world to the water tanks. legs were not feeling it after yesterday's ride to the peak. perfect temps in the park. In the clouds until 1 1/2 miles from the peak. Sunny and windy at the top. Talked to three riders who had come up Harding. great day for riding on the santa rosa plateau. been a while since i have ridden here. now I remember why I don't ride here that often- horses. they were everywhere today. fog was rolling in while traversing on alta laguna. felt like someone turned on the air conditioner. great day to ride. the breeze kept the temperature down. The last 1/2 climb to old camp clearing is like riding through a tunnel of flowers. Really awesome. overcast until about a mile from the main divide. clear and sunny on the main divide. a large swarm of bees was on the bottom gate. they must have come from the bee boxes. easy, slow ride today. lots of riders out. out through dripping cave. lots of quail, but not a lot of people. did this route in reverse. started with dripping cave. numerous riders in today. late afternoon ride. surprised to see the park so empty. went up mathis. construction is progressing slowly. great day for a ride. trail is in excellent condition. the wildflowers are awesome right now. where was everybody today? the park was empty. A great event today. Wind seemed ominous while waiting to start, but while riding not too bad. thanks to the volunteers. Fun times. easy ride before the 50 mile ride tomorrow. dripping cave, up mathis. no go in the legs today. had to grind it out. to access mathis you must use dripping cave. perfect weather today. a steady stream of riders coming up mathis. fantastic day for a ride. 1:29:40 gate to gate. attacked by the flies only when I stopped to eat at the top of Modjeska Peak. It turned out to be a quick snack. Sunny and warm on the way up ITT. Cloudy on the main divide. Sun was out at the peak. Saw at least 10 hikers out today. Flatted on the way down. No problem, pull out the spare tube. Wrong valve, won't fit through the hole. Try to inflate it and McGeyver it, it also has a hole(I kept it next to my multi tool and it rubbed a hole in it). No problem, I have a patch kit. It is the sticker patches, and they are about as worthless as my wife in the kitchen. Needless to say, I had to walk the last 3 miles. Lesson learned, will update the flat kit. The first half of Whiting is pretty chewed up. A lot of sand. Hit the cloud at the top of Modjeska Grade and stayed in it all the way to old camp. Visibility about 50 feet. Only saw 1 other rider. nice and easy ride today. love the warm temps late in the day. lots of riders out today. legs felt a bit heavy, so nice and easy today. quick ride fighting the darkness. Tonite, I won. ride 2. back to back. ride 1 of 2. camping at elsinore this weekend. quick loop after work. busy park tonite. felt great today. 4:51 up cholla. 43:14 to TOW. lots of riders out today. 11:30 start. saw only 1 other rider. he was descending from old camp. incredible day to ride. kept going after coming down from old camp. felt good until the last 2 climbs, then turned into a slug. fun descent down the luge. 1:09:49 to the main divide, new personal best. ideal conditions today. no wildlife sightings. saw 2 riders climbing as I was descending. crappy day at work put me in a bad mood. tired and irritable, I was going to skip riding today. decided to go do a slow ride. when the wheels hit the dirt, my mood instantly changed and I felt energized. turned into a great ride. riding is the best therapy. did this in reverse. mathis is really chewed up. looks like a couple of people decided to hike it during the rain. otherwise a great day to ride. great way to start the week, a ride on San Juan. muddy in a few spots, but otherwise no problems. nice to meet royster and eric foltz today. rushed home from work to check the oc parks website. Aliso open. just coming back onto wood canyon from mathis when the rain started. was drenched by the time I finished. sign at the entrance to dripping cave trail saying use for access to mathis. guess they are doing construction on the access trail to mathis. lots of people out taking advantage of the extra daylight. reverse. saw 3 deer on Wood Canyon fireroad. a lot of late riders coming up cholla. Harding in good shape. Rode into the clouds about halfway up, and rode out of them going up the final climb to four corners. Blue skies at 4 corners. did not see anyone out today. pretty empty in aliso today. all the grading on the main fire road has been undone. sun at the perfect angle to completely blind you while going up cholla. late afternoon. did the route in reverse. Became cold quickly as the sun went behind the hills. Started at about 10:15 this morning. parking area had about 20 cars in it. was passed by about 25 coming down as I was going up. thanks for breaking through the snow. when i got back to the parking lot at cook's, my legs felt good so I kept going. Made it through the first half feeling good, but the last couple climbs were slug-like. did this route in reverse. perfect day! nice and warm, with only a little breeze at the top. the gnats were out today, but not in full force. ride 2. twelve seconds faster than the first ride. ride 1 of back to back. rode over to the top of Holy Jim. saw 2 riders coming down from santiago peak on upper Holy Jim. clear and warm. actual route- church start, up mathis, down cholla, up mathis, down cholla and out. the park was very busy this morning. lots of hikers and bikers. I was feeling it today. legs were churning and and I was groovin. 1:10:45 to the top. no wind until the main divide, but it was minimal. warm and no wind. the black gnats were out today, but not in force. three riders heading up as I was finishing. was planning to do more, but had absolutely no power. still a beautiful day to be riding. winter is finally here. Aliso is not as bad as expected. most of the damage seems to be the main fireroad. saw a couple of places where the river showed it's force. beautiful day on ITT. did not see another person. 1:14:58 to the top. Another busy day on ITT. Saw 5 other riders, 2 ultra marathon runners, and 7 hikers. The bottom 2/3 was in the clouds, but was sunny at the top. A little San Juan is better than no San Juan. Had to turn around to beat the darkness. The parking lot was just clearing out as I got there. Saturday ride. camping at Lake Elsinore for New Year. Trail not affected that much by the rain. finished work early and was able to get this in. great day out on the trail. saw one rider coming back from old camp. I counted 5 small puddles on the trail that you have to ride through. forest fire crew was working on the trail today. about a 1 minute rain shower near the top. 1:10:17 to the main divide. lap 2. saw a group of about 7 riders getting started. Perfect day on the plateau. saw a few bikers and a beautiful reddish coyote, the biggest one I have seen. awesome day at Aliso. a few puddles by the stream crossings. saw a few riders, hikers, and runners. gates were closed today. saw 1 coyote near the bottom gate. 1:13:40 to the gate. saw 2 guys on motorcycles halfway up the trail. must have gone under the gate. challenging conditions today. was almost blown off the bike. great to see so many people out. nice temps while climbing. got windy and cold just before 4 corners. the final climb up to modjeska was really cold, and the loose rocks combined with the numb hands made for slow going. 1:37:40 to 4 corners. perfect conditions today. new personal best to the main divide. 1:13:48. Saw 5 runners doing the Saddleback Marathon at the top of ITT. great morning ride before the heat. Went to see Race Across the Sky last night. Awesome to see. Only about 15 people in the theater in Temecula. great view of sunset over catalina on westridge. great day for a ride. met 1 rider in the parking lot who just finished as I was starting. Talked to a rider on my way down who hadn't ridden this trail in 10 yrs. lots of riders out taking advantage of the cool weather.quick ride to finish right when it got dark. early morning ride. rode up through the clouds. clear at the main divide. excellent view to the west today. great morning for a ride. light drizzle on and off. at the main divide, the wind was coming strong over the ridge from the oc side. came prepared with a bandana to battle the black flies. worked well until the sunglasses fogged up. legs felt the long lay-off today. slow grind got it done. first ride in about 3 weeks. felt great to be back on the bike. saw one roadrunner today. really nice temps today. did this in reverse. saw 2 tarantulas tonite. first time to see one in Aliso. 1st lap. first time on the plateau in a while. beautiful morning with fall like temps. saw a few equestrians. 2nd lap. did this one in reverse. did this in reverse. I hate Mathis, but I love it. reverse. 5:00pm start. heat not to bad. aliso is like an oasis for the heat. started in Caspers Park. Surprised a coyote. legs were toast by the end. did this in reverse. saw six deer grazing in a meadow. legs felt great today. saw two snakes. one gopher snake and one very large rattlesnake on westridge. Tuesday's ride. raised my seat post 1 inch and had a personal best to TOW. coincidence? hot, but not unbearable. slow ride up the hill. 1:08:42 third day riding in a row. haven't done that in a while. tried to push through the heavy legs. 46:33 to TOW. did this in reverse. awesome cool day. a lot of riders taking advantage. late afternoon start. warm in the canyon, but the breeze helped. 9:00 am start. comfortable temps going up. attacked by the black flies about 1 1/2 miles from the top. could see the overcast conditions in o.c. from the main divide. saw a bobcat on aliso creek before the dripping cave turn off. he was running ahead of me for about 10 yards. early morning to beat the heat. absolutely nothing in the legs today. quick afternoon ride. nice and cool in the canyon. late afternoon ride. lots of hikers on borrego. did not see another bike. off work early, ready to go out of town D'oh 91 freeway closed. oh well, good day to go for a ride. at the transition from the asphalt to the fireroad, the park ranger was tending to a rattlesnake that was missing its head. 45:50 to tow. perfect day. started in Caspers. Overcast and misty for the caspers section.dry once I climbed out of caspers. 1:51:23 1:21:09 to the main divide. Met two ladies at the main divide who ran up ITT, did upper holy jim, and were heading back down. total respect for those two. attacked by a swarm of gnats for the last 3 miles. nice cool breeze in the park this afternoon. a lot of riders took advantage of the weather. 3:12:51 9:00 am start. saw 3 riders in whiting and that was it. The last mile up to old camp got a little warm, but other than that it was perfect. treated myself to a double-double at the end. started at the church. up mathis to tow, down mathis, back up mathis, across westridge, down cholla and out. 3:30:00 would not recommend riding the badger pass portion of this ride unless you bring a machete. had an encounter with a 3 ft rattler about 1/2 mile from the top of oso trail. it coiled up and rattled like crazy. it finally slithered off into the bushes. too close for my liking. sunday ride. much better on this loop. met 3 guys pre riding the 30 mile course for the idyllwild challenge. camped here this weekend. first time riding here. awesome place to ride. the 24 hour course is a blast. i don't know how they do it at night. saturday's ride. closest route I could find. Church-up mathis-TOW-down cholla, up mathis, back down mathis and out. started at 3:45. only saw 1 other rider. cool and windy coming down. 6:10:33 First time riding over 30 miles. Felt great the whole way. Definetely doing this again next year. took a chance and drove over to aliso about 4:00. park open! just a few puddles, trails in perfect shape. beautiful sunday morning ride. nice and quiet with lots of birds singing. as i was finishing, I saw a guy starting up with his dog. The dog was wearing two backpacks (panniers). He looked happy. sunday ride. at the top, headed towards blue jay, but only went 3.5 miles up. first time in whiting since the rains. quite a difference. wildlife sightings today- one baby snake ( i don't know what kind), one roadrunner, and two coveys? of quail. quick afternoon ride. 33:52 to the top. started at the von's parking lot and rode through the neighborhood for a few extra miles. the road grader was in full force today- thick sandy surface was the result. saw a rider go by me while i was on the main divide. cool late afternoon ride. saw a group of about 20 riders coming out of the park as I was going in. old camp was in the clouds today. met another rider at old camp - steve. about 6 mud puddles on the way to old camp. nice and peaceful up in the clouds. All good on indian truck trail. upper third of the trail was recently graded. this made for soft conditions. 5 trucks coming up as I was going down. passed one rider coming up. Late afternoon start at 3:15. did not see another person the whole ride. It was absolutely perfect today. instead of going down rockit, went down cholla instead. must have seen at least 20 riders on westridge and a whole bunch more on the fireroad. i knew this would be rideable after the rain. saw two guys on motorcycles. gate locked at the bottom. a lot of grading has been done on the trail. met a guy who lives in Davis about 3/4 mile from the top. closest route I could find. church, up cholla to TOW, back down cholla to mathis, up mathis to TOW, down cholla back to church. I clocked it at 21 miles. The middle third of the trail is loose and slippery. 1:26.33 to cocktail rocks, a new best. saw 5 riders coming down the switchbacks as I was going up. Met Nick and Mike at the rocks. Went OTB on the way down. My camelback and backpack cushioned most of the impact. first time riding out to old camp. great trail. met howard near the top of the luge as I was going towards old camp. awesome day in aliso. nice easy ride to check out the park after the rains. awesome day. saw 4 other riders out today. Aliso: Dripping Cave, Mathis, Rock-it. quick ride after work. finished just as it was getting dark. did this route in reverse and added a trip to tow. cool in the canyon coming back. great temps in aliso this afternoon. not to many people out today. quick recovery ride from yesterday. legs felt good. first time up harding. 1:58 to the top. I was shocked to see so many people at the top. first time in whiting in a while. great place to ride. perfect afternoon. finished right when it turned dark. quick ride to beat the darkness. didn't quite make it. good view of the fire from the top of mathis. great afternoon ride. saw three deer grazing at the entrance to coyote run. started this route at the big bear hostel on knickerbocker rd. first ride at altitude. breathing was rapid. awesome singletrack down. lap 2. omitted manzanita this time and did this route backward. school must be out today as there were a lot of kids in the park. started at 11:00. very warm in the canyon. not even the slightest hint of a breeze. saw a large rattlesnake about 1/3 of the way up mathis. didn't see it until I was about 5 feet away. Early morning ride while camping at Lake Elsinore. Up Meadows, down Cholla, Coyote. faltered a couple times going up meadows. nice and cool at the top. Late morning ride before the heat really kicks in. Saw a doe on the way towards cholla. saw at least 10 other riders out. felt strong the whole ride. lots of activity out there today. first time riding here. great climbs. reminds me of el morro. I don't know if it was the heat playing games with my mind, but I know I saw a guy riding a unicycle down Mathis today. a lot of riders, hikers, and runners out today. Felt tired and grumpy from work before riding, felt great after riding. This is the best therapy you can get. closest route I could find- except I did it in reverse and added another climb up cholla. started at 6:45 this evening. glad i waited until the temps cooled off. sun at the perfect angle for blindness while going up cholla. warm afternoon in the canyon. saw a lot of families riding today. Finally got my bike back after a week and a half in the shop. Was originally planning on riding to TOW, but legs weren't on board today. anyone see the baby gorilla that jumped on my back at the bottom of mathis? I tried to fight him off, but he hung on till the top. He jumped off at the top, and raced back down the hill. Sure hope I don't meet up with him again. The sandpits on Westridge are becoming quite large. I wonder if the sandpeople live close by? encountered 3 riders coming down as I was climbing. Saw no one else. Nice and cool, but not cold. I wish the weather would stay this cool during the summer. great ride this morning. temps were nice and cool. felt strong on both climbs. forgot to post this ride yesterday. saw 4 families of quail today. the little ones sure can run fast. Like riding in a cloud the whole way. Saw 2 coyotes. They must like the cool weather. nice afternoon to be out riding. felt great both times up cholla. saw a large snake heading into the brush just before mathis. great breeze today. sunday morning ride. nice and cool all the way up. camped at Lake Elsinore this weekend and rode El Cariso to Ortega Hwy. 1:17:00 temps were great at 6:00 pm start. nice breeze on westridge. encountered a group of about 20 riders coming up meadows as I was starting down. warm afternoon. no ocean breeze today. lots of traffic on the trails. 1:10:00 good morning for a ride. a lot of people were out today. 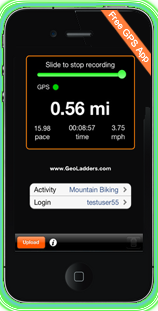 hikers, runners, and bikers. easy after work ride. saw 3 other riders and some kind of snake. fast afternoon "give me some energy" ride. It worked. 2:33:00 great temps this morning. Met Ian on the trail today. Ladies day today. I encountered seven women on horseback. went over the bars coming down rock-it. luckily wasn't going to fast. I'm glad that I wear a helmet as there is a large scrape on the side of it. Started out with the intention of going to old camp. about a mile past the luge, my legs said no more. 2nd of two rides on the plateau. did this in reverse. legs were done on the manzanita climb. Nice cool breeze and a lot of riders out today. Saw 1 quail while climbing Mathis. first time doing this loop. felt great the whole ride. did not see another rider. a little warm out today. lots of hikers out today. Saw at least 7 riders ahead of me as I started up Mathis. Great day for a climb. Perfect late afternoon ride. Saw at least 15 other riders out today. 58:00 late afternoon ride. the fog coming over the ridges looked like the hills in Marin, just north of San Francisco. 1:19:00 I think I was lulled into complacency by the early section climbing meadows. I was unprepared for the immediate change in the steepness. Note- at the bridge just before you start climbing, there is a bee hive in the tree. be careful. 2:39:00 first time on this trail. It was an outstanding ride. Saw 5 other riders out today. The views were great. rumor was that someone spotted a mountain lion. rangers were supposed to be coming. Saw neither rangers nor a big cat. It must not have rained to much in foothill ranch. the trail was tacky, but not muddy. I did not see any other riders. 1:18:00 Beautiful afternoon. The frogs in the creek were incredibly loud. Sounded like there were about thousand. beautiful morning. A lot of people out taking advantage of the weather. The whole high school track team was running the plateau. 1:07:00 What a blast! First time riding in Whiting Ranch. The scenery was great and the trails were fun. Great route. first ride in a couple of weeks. legs felt great today. trails were in perfect condition. 1:13:00 Did not see anyone on the way to Cholla. Saw a few riders as I was heading to TOW. As I was going down Mathis, I passed seven riders who were coming up. 1:15:00 Incredible views today. Could see all the way to long beach. the temps were perfect. short early afternoon ride. Perfect temps on the plateau. Lap 2 of 2. Only saw 1 rider the first lap, but at least 7 on the second. No wildlife today. 1:05:00 What a perfect day to ride. I think everyone thought the same. I must have seen at least 25 other riders out today. 1:41:00 Breeze was great today. legs felt good considering this is the first time I've done two climbs in Aliso. 1:24:00 afternoon ride. a lot of families out today. Best ride ever. Light rain the whole way. Took it slow because of the mud. Everything was calm and quiet. Very peaceful. The only thing I heard were the birds. They were singing like crazy. I guess they like the rain. The trail gates were still open when I left about 4:00. 1:14:00 perfect afternoon. added top of the world to this route. What rain? The view from TOW was awesome. Catalina and ships in the channel. 1:17:00 afternoon ride. I saw at least 20 other riders on the trails today. On the way to Cholla, saw a bobcat in the middle of the fireroad just after the third (bridge)water crossing. 1:03:00 afternoon ride before the pittsburgh game. car crash at the entrance to the main parking lot. lots of hikers out today. 1:11:00 first time up mathis. great climb. took coyote run on the way back and heard a coyote calling. Awesome to hear. 1:06:00 first time on this route. quite a climb, but I made it without stopping. Hot going up the ridge. the wind felt good. 57:00 slow ride today. legs felt like cement sacks. did the loop backward for variety. 1:12:00 first time down rock it. quite challenging. right when I got to the bottom, two riders came barreling down the last hill. met ken in the parking lot. thanks for the info on the "red zone." 1:03:00 perfect afternoon. t-shirt weather. saw a quail at the bottom of lynx. a lot of riders were riding in as i was riding out. 47:00 quick morning ride. only saw 2 others just as I was finishing. now to cc to work for a few hours and try to get in a late afternoon ride. 1:25:00 first time making it up cholla without stopping(3rd attempt). I'm pretty stoked. the descent down meadows was challenging. passed 2 riders who were coming up. Perfect temps this morning. Met a guy from Ohio who said it was 18 degrees at home. we are spoiled living out here. the parking lot was full of riders as i was leaving. 1:07:00 perfect day. saw many hikers out today and 1 coyote. goal is to post a 4 rides per week. cold at the start -40Degrees. Ice puddles still on the trail. be careful on the fenceline singletrack- the mud is innocent looking but extremely slippery. It got me twice- front tire slid out and I went down. maybe i'll learn to slow down- I doubt it.also saw two coyotes. 1:07:00 saw a lot of riders this afternoon. came back down cholla- didn't trust myself in the twilight coming down lynx. took coyote run back. quick early morning ride. nice and cool. first time up manzanita. saw a lot of riders today. nice breeze to keep it cool. 58:00 started late. finished in the dark. incredible sunset and a huge deer bounded across the trail in front on me. 1:03:00 fun afternoon ride. warm on the ridges but cool in the canyon. 1:01:00 saw a bobcat at the end of Shivela Trail. Real warm. 1:08:00 First ladder route ride. had to walk 3 times up cholla. next time try for two. took coyote run on the way back. perfect late afternoon ride.